Sophistication and cosiness go hand in hand at the Chalet Caribou. A stay here means high altitude, high quality and high standards, all topped off with bucketloads of charm. Striking the perfect balance between contemporary and old world, the home from home comes complete with slick wooden floors, plush furniture and modern décor, all housed within traditional stone and wood exteriors. 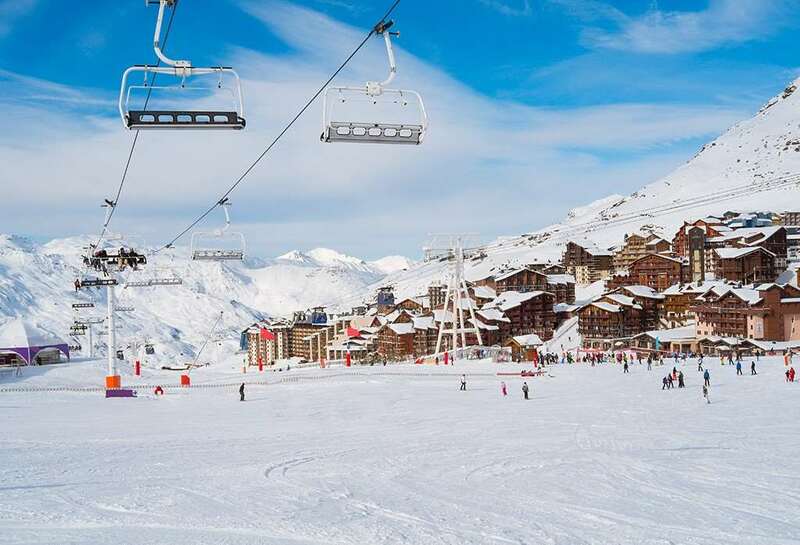 Surrounded by the epic mountain scenery of Val Thorens, the chalet style apartment accommodates up to eight guests in four cosy and beautifully furnished bedrooms. The chalet’s lounge is a real beauty too, with sleek leather sofas to sink into after a day on the slopes and big windows from where you can take in your gloriously snowy surrounds. Imagine watching the snowflakes fall softly outside, as you add another log to the open hearth fire, all the while enjoying a cup of tea and a slice (or two!) of homemade cake. Sheer bliss! This chalet style apartment is ideal and works really well when a family or group take over the apartment due to its shared facilities and cosy communal areas, although we are happy to sell on an individual room basis if requested. As guests of the apartment style Chalet Caribou, you will also have access to the superb facilities within the Chalet des Neiges Residence. This means you can indulge in some post-slope relaxation in the complex’s private indoor heated swimming pool or soothe those weary muscles in the sauna. The Chalet des Neiges Residence also features a ski hire shop – talk about convenience! Chalet Caribou cannot take infants. Chalet Caribou is located in a quiet part of Val Thorens in the Chalet des Neiges Residence. The apartment is positioned on the first floor of Chalet B in the Des Neiges Residence. Access to the chalet from the reception is via an elevator to level three, a short walk via an external stairwell brings you to the entrance of Chalet B. The swimming pool and sauna are on this level, and Chalet Caribou is on the floor above. Perfectly positioned close to the slopes, there are also pubs, restaurants and shops galore, all located within a few minutes’ walk from your door.. A 7 minute downhill walk from the residence will bring beginners to the beginner area, alternatively there is a bus stop 300m away from the Chalet des Neiges residence.